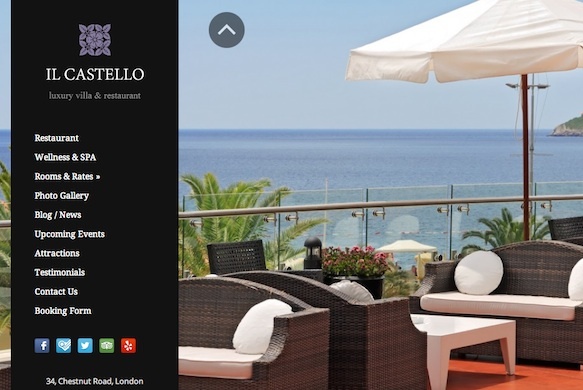 Castello is the perfect WordPress theme for private villas, holiday homes, holiday apartments, small B&Bs, etc. The focus on full-screen photography will keep your visitors engaged with your content. Features include responsive design, full screen photography, photo gallery, online booking form, events module, rooms & rates, local attractions, SEO optimized, Social media icons, social media integrated, blog page, testimonials and more.